This week we had an email from a reader about how to scare cormorants. According to Wikipedia Cormorants are medium to large sized birds. They are costal birds which can also colonise inland waters, such as lakes. Being costal birds, they are fish eaters. 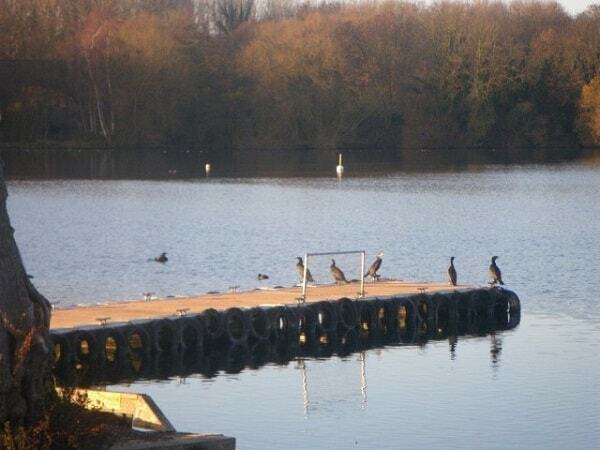 This picture is taking of the cormorants whilst they are ‘hanging out’ on the end of a pontoon. In quite a picturesque spot I might add! 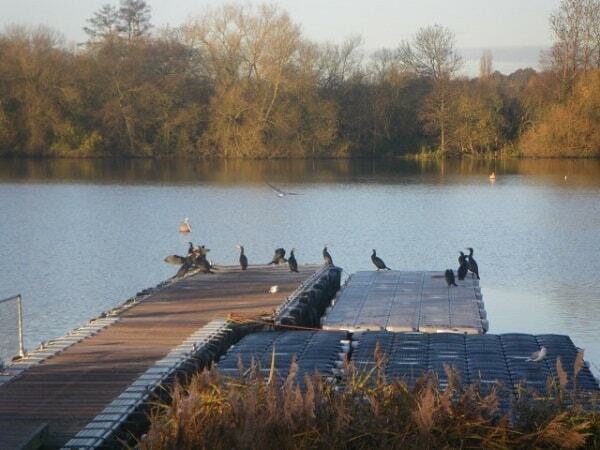 This pontoon looks like a great place for a cormorant. Near food, and plenty of room to socialize with other cormorants. This can be an issue. The birds are obviously using the pontoon as a fishing spot. And if it is a good one, they won’t want to leave it unless there is intervention. The problem is, like it usually is with pest birds, the amount of mess they leave. These birds are quite messy and a problem for the users of the pontoon. Searching for more information, I came across a few resources. One from the government which goes into quite some detail about deterring cormorants. It has a few valid points about preventing access (like netting or spikes which would be hard to do in this situation as the pontoon is very open). Along the same line of food supply, giving the smaller fish protection against the cormorants may deter them. For example netting in the water, and introducing some weed beds to provide more cover for smaller fish. This in itself may make fishing for the cormorants too hard, and will have them move on. In your picture you do not have any ‘overhead cover’. This overhead cover gives the small fish some warning as to a predator coming into the water. Not understanding the area, if your lake is the only one nearby (?) then making the fishing tougher may not work, but definitely worth a try. Instead of trying to remove a food supply, traditional and modern bird scarers make the cormorants think of their own mortality first. Looking at the hawkbirdscarer.com website they say their product (an imitation goshawk, my review available here) works for cormorants. Only because I have tried it and it worked for me do I pass this review onto you. You can set up one or two with a water pump or hose. When the cormorants try to land then they will get sprayed with water. That easy. You can turn the sprinklers off when you use the pontoon so there is no spraying of people. Please write in and let us know how you go.